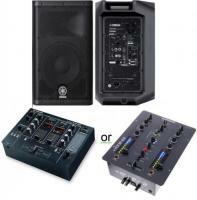 2 x KRK Rockit RP8 G3 Speakers + Pioneer DJM 300 or A&H Xone 22 Also available with a pair of Yamaha HS8 Please note these speakers are studio monitors NOT PA speakers. 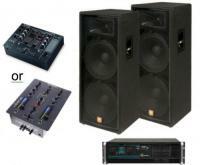 They are suitable indoor monitoring use and are not loud enough for parties or outdoor use. 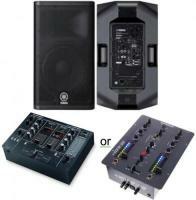 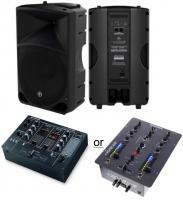 Our Budget system for Music outside by the pool or for a party. 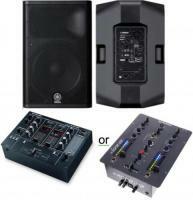 2 x Yamaha DXR10 with a Pioneer DJM250 or A&H Xone 22/23. 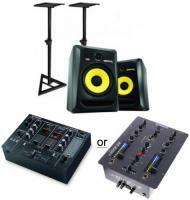 Great for indoor use. 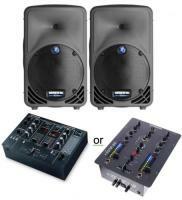 2 x Yamaha DXR15 with a Pioneer DJM250 or A&H Xone 22/23 These warm sounding 15" active speakers have so much bass they sound awesome without a subwoofer. 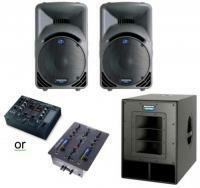 2 x JBL JRX 125 with 2 x 800w RMS Amp and a Pioneer DJM250 or A&H Xone 22/23 Really loud speakers with tons of bass driven by a quality class H amp giving them plenty of punch. 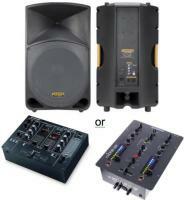 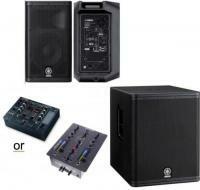 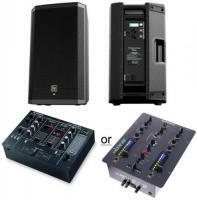 2 x Mackie SA1232 with Pioneer DJM250 or A&H Xone 22/23 Amazing 3 way floor standing speakers with lots of fast bass. 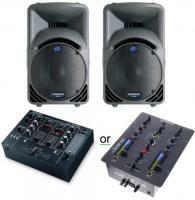 2 x Yamaha DXR10 and Yamaha DXS15 + Pioneer DJM250 or A&H Xone 22/23 Outstanding DJ Monitors and great for parties for up to 100 people with the Yamaha DXS15 subwoofer.